The holidays just wouldn't be complete with some pumpkin pie and now you can have your smoothie and pie too! 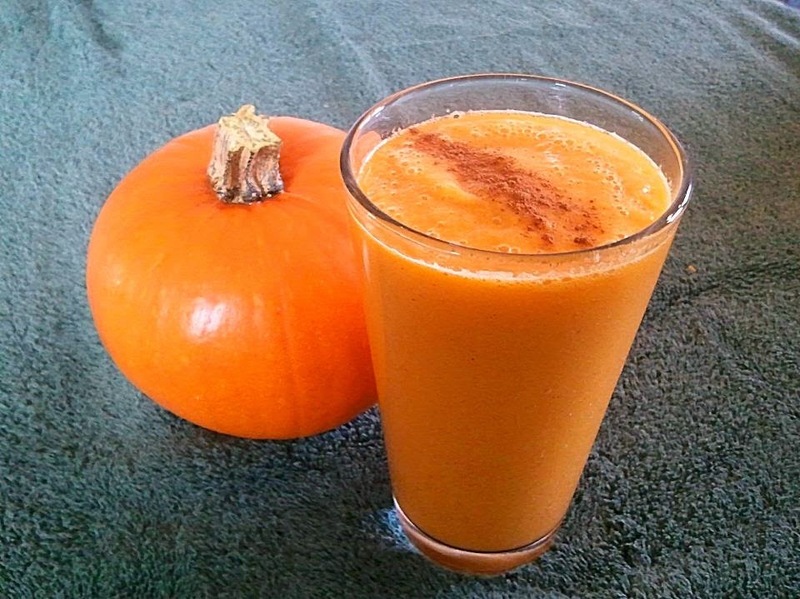 1) Pour milk into a blender Add pumpkin, banana, honey, and pumpkin spice blend. 1) Replace Coconut Milk with any of the following: Almond milk, rice milk, cows milk, goats milk, soy milk, water. 2) Add additional protein by throwing in 1/4 cup chopped almonds, walnuts, or pecans to the blender in the first step. Pulse for an additional 30 seconds. You can also add 1 tablespoon organic/natural nut butter or Greek yogurt. 3) Try adding additional fruits for sweetness instead of utilizing honey: try 1/2 banana, -or- 1/8 cup pineapple, -or- one 4-ounce container all natural (no sugar added) applesauce, -or- half of a shredded honey crisp apple. 4) If you have any leftover Healthy Pumpkin Smoothie recipe, freeze it in ice cube trays... utilize it in place of the ice the next time you make this recipe! 5) Try adding a little good quality vanilla extract to the recipe for additional flavor. 6) Cranberry is a great flavor booster for pumpkin. For every 1/4 cup fresh or frozen cranberries you add into your pumpkin smoothie, add 1 tablespoon of raw honey. This will eliminate the sourness from the cranberries. 7) Utilizing pure raw honey in recipes is a great way to stabilize blood sugar, and keep away the harmful effects of white/processed/refined sugar, because raw honey is not a "processed" sugar. This is what makes a recipe "clean" or "healthy" by clean eating standards.